it’s the day I’ve been anticipating for at least a year–the release day for Elisha Magus, book 2 in my Dark Apostle series. In the past year, some of my blog entries have been of the sort I consider footnotes to the text–they talk about historical details or choices related to the book itself. For those of you who’d like to follow along, here are some of those links, so that you can insert these tidbits as you enjoy the text, or return here afterward to learn more about some of the settings in Elisha Magus. As you know, research is a large part of the fun for me–I can’t use everything I learn, but I’m often informed by it as I write. Myself, I will be sharing the book with my local audience at the Farmer’s Market here in town (dressed in my barber-surgeon outfit, complete with tools and bloody handprints–should be fun!). and sharing the stage with the amazing Carol Berg at the Old Firehouse Bookshop in Fort Collins, CO on July 25th at 7 pm. This entry was posted in books, Elisha Barber, Elisha Magus, fantasy, medieval, The Dark Apostle and tagged alternate history, book launch, book release, Elisha Barber, Elisha Magus, historical research, new fantasy, new novel, The Dark Apostle. Bookmark the permalink. 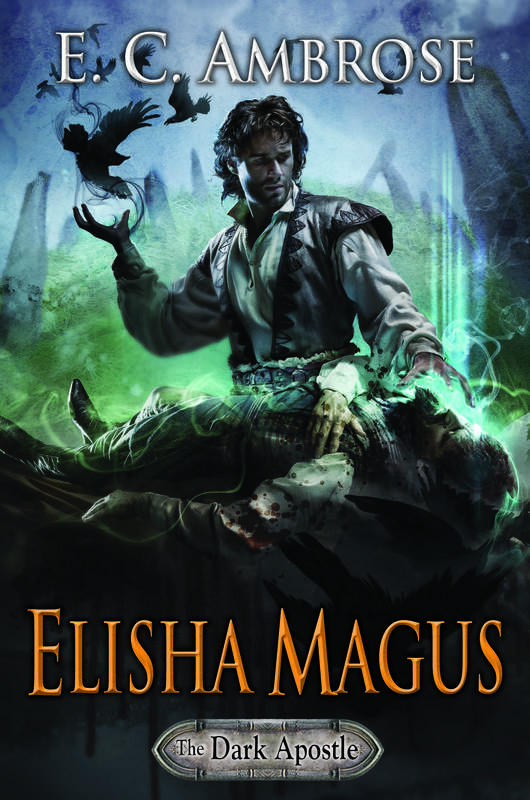 3 Responses to Elisha Magus Book Day! With footnotes. . . I like a writer who knows her barrows.